Here at eyeo we are continuously looking for ways to improve our software. With that in mind, we have spent over a year working on a major update for Adblock Browser on iOS. Today, the fruit of our labor is live on the App Store, and as someone who worked directly on this latest release, I wanted to share a few reasons why iPhone users should care — and the titans should take note. There’s much more to mobile than stand-alone apps and social media platforms. There’s a world wide web of content that’s just as valuable. This, of course, is why mobile browsers like Chrome, Safari and Firefox exist. Users care about more than intuitive interfaces and easy-to-use controls, however, especially when choosing an ad-blocking browser. They also care about keeping data costs down, saving precious battery life and protecting personal data when browsing the mobile web. But above all, they value content — and dislike anything that intrudes on that content (like annoying ads, which cost bandwidth and compromise their privacy). This is exactly why we made Adblock Browser for iOS. As of today, they do. While the original Adblock Browser for iOS was great, we feel like this is a massive improvement. And with it, users finally have a powerful alternative to what the titans are offering — without having to compromise their privacy or personal choice. 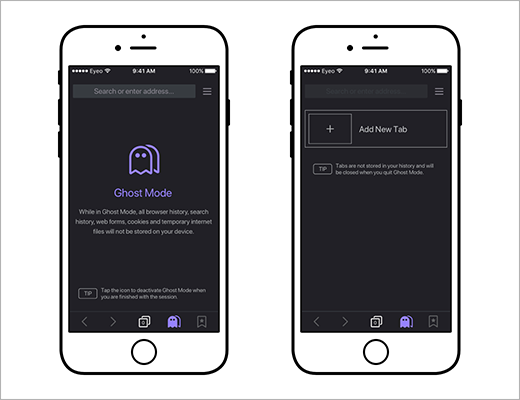 For true privacy, Adblock Browser 2.0 also offers Ghost Mode, which allows users to browse the mobile web anonymously with a single tap. An icon located in the toolbar makes it easy to switch between Ghost Mode and normal mode, and contrasting background colors always make it crystal clear which mode is active. Sometimes users want to open a bunch of web pages at once. Sometimes they want to see just one. 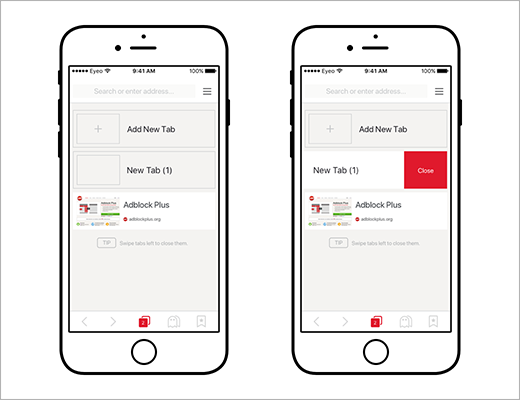 Adblock Browser now makes it easier to create and manage New Tabs with a single tap, or delete them with the swipe of a finger. 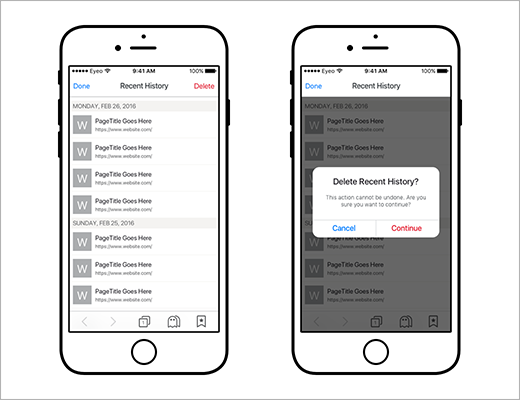 There are two main reasons why users need a Recent History feature. Most often, users just want to find a page they had previously viewed. But they also might want to clear their browsing history altogether and start fresh. Adblock Browser 2.0 for iOS allows them to do both easily. One of the most basic features any browser should offer is the ability to bookmark pages, and allow for simple retrieval for reference later. With this release of Adblock Browser, users can bookmark any page right from the search bar with one tap. 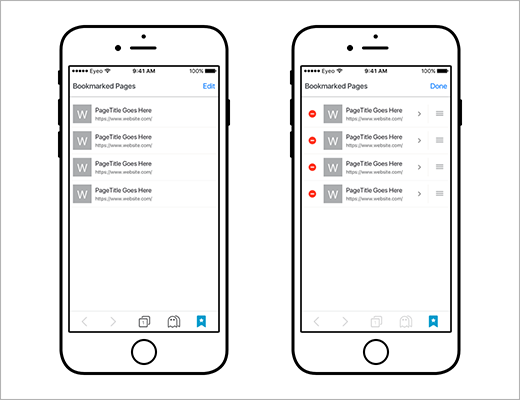 When they want to see their list of bookmarked pages, they can simply tap an icon in the toolbar. Even more basic: Settings should be simple to find, understand, and control. With no more than a few taps, users will be able to configure just about every aspect of Adblock Browser. Whether it’s choosing a different default search engine, or refining ad blocking options, users will always have full control over their web browsing experience. We’ve also made a ton of changes under the hood. 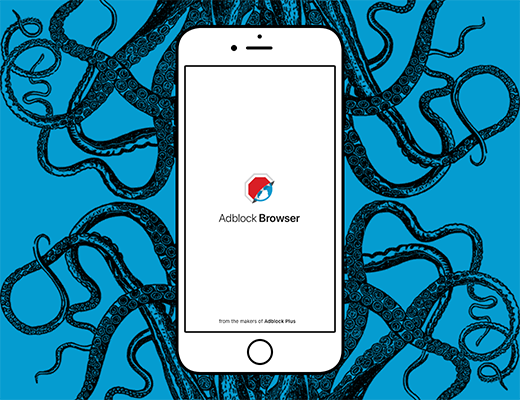 Adblock Browser 2.0 on iOS isn’t just more stable – it’s now faster too. Because let’s face it, users don’t have the time (or patience) for apps that slow them down. For more details about what’s changed behind the scenes, check out this article. The Adblock Plus browser is an oxymoron. It protects you against ads, tracking, but fails miserably at halting 3rd party cookies, scripts. Incognito mode helps, but will not protect you against malicious scripts. thanks for sharing this amazing post. yes ios emerges as the leading os in modern computing. My IOS spellcheck has become “Self Aware”, altering my spelling “Michae”. My curse jar is over flowing with coins. IOS needs more open source, feature rich browsers, to fend off the privacy invasive trackers. Keep up the good work Aaron! Mozilla has sold out! Firefox is fast becoming the Cliqz browser. A browser that claims to protect (Cough) “user privacy”, sells user data to the highest bidder. Guess who’s funding Cliqz? Mozilla! Cliqz owns the dubious add on Ghostery. Before Mozilla decides to put red heels stilettos on our devices, place ‘em on the stroll (Pimp phrase). Please consider creating an Adblock Plus desktop browser. Mozilla is considering selling our browser history for funding (Cliqz). The news has gone down quicker than the Titanic. So far so good. It would be nice if the QUIT actually closed the program and cleared cache instead of it still open in the background using valuable resources. I like the customization to block all ads, although video ad placeholders still show on screen. It does not appear to load screens faster than other browsers making me think it still downloads the ad, but does not display it on the screen. My understanding that this is similar to the regular Adblock plus for the computer browsers. It’s a great browser and blocks the ads well. Hi Michael, thanks for you’re feedback. I totally understand your need for more security when browsing the web, and I’m sorry that our browser doesn’t make the cut in your experience. However, I’ve already followed up with a few folks who are responsible for Adblock Browser, and they’re currently looking into it how we can add this functionality to one of the next major releases.